When I was young, I used to ask my mother “why I am born like a gorilla?”. Since young, I've already noticed I’m comparably hairier than my friends. Jokes aside, body hair can be quite unsightly especially when you’re a fine lady. It also shows how little effort you put in taking care of your looks and showing respect to not just others, but also yourself. 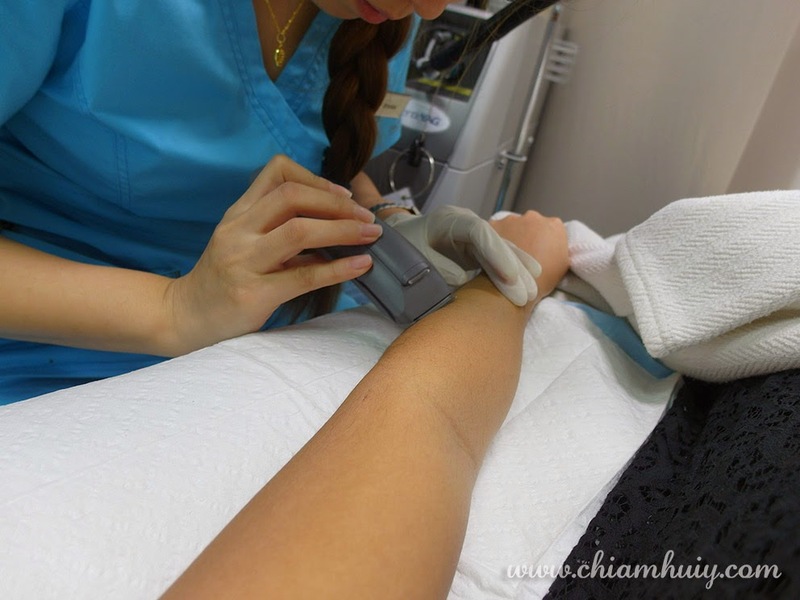 This is my virgin experience doing hair removal, which means never in my life have I ever gone through any sort of hair removal treatments, be it IPL or laser. 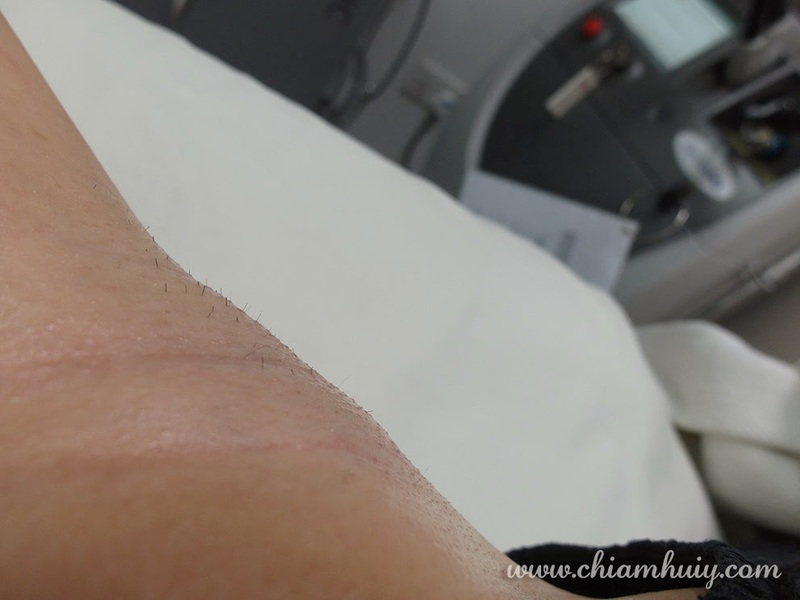 This time, I was very glad that I went ahead to try out the laser hair removal treatment. Watching how clean and bare my skin is now makes me really happy. The happiness derived is really beyond words to describe. Imagine me looking at and touching my arms and legs every now and then probably can tell you how much I love the result! To many lovely ladies out there, there’s always a first time when it comes to many things. 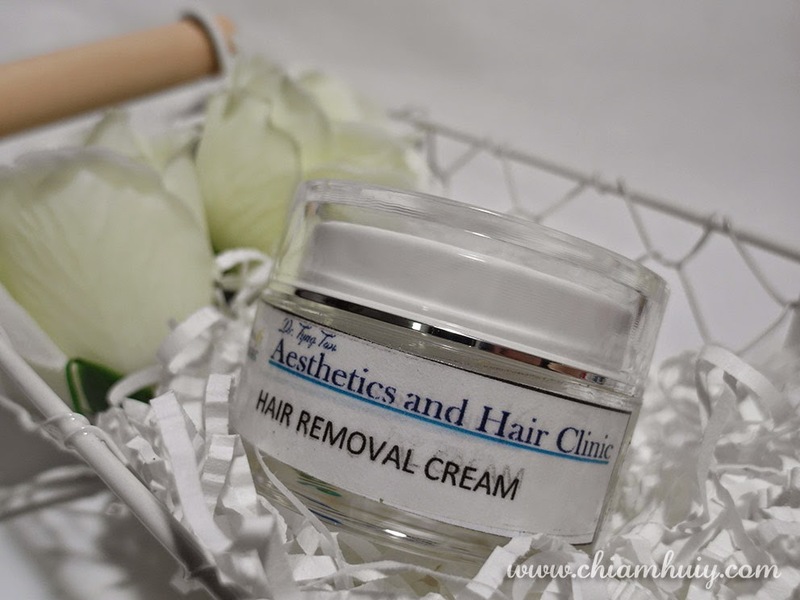 If you haven’t had any hair removal experience before, I think this post will really come in handy for you. 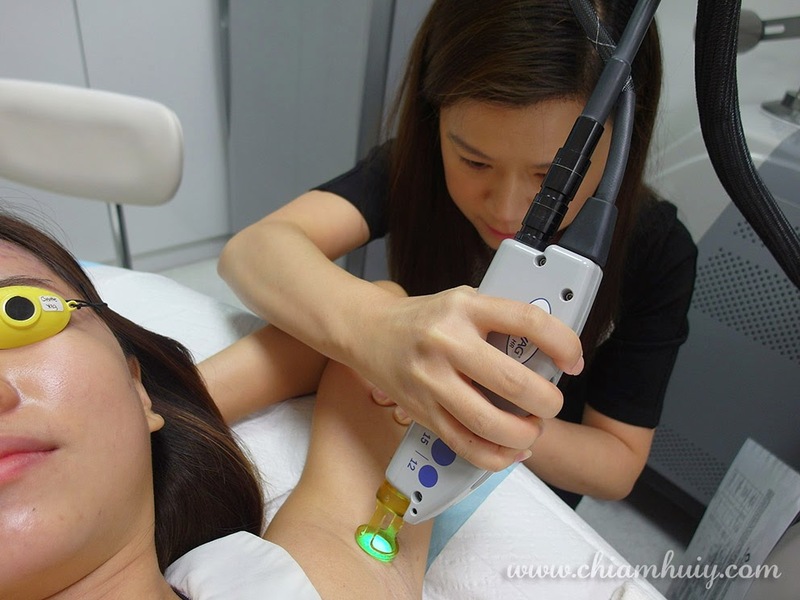 I’ll go through with you the laser hair removal treatment step by step, explain to you any effects after the treatment and answer most of the frequently asked questions about laser hair removal. 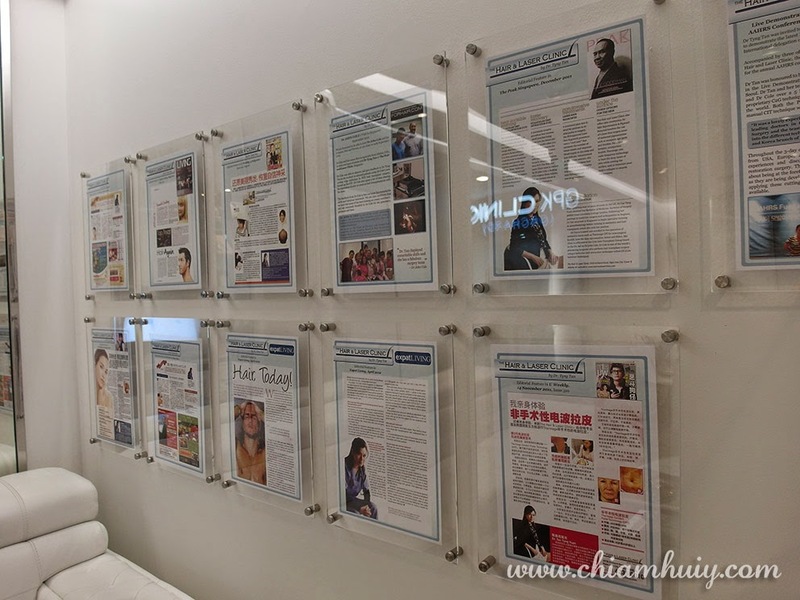 Where did I do my laser hair removal treatment? I did it at Aesthetics and Hair Clinic by Dr Tyng Tan. 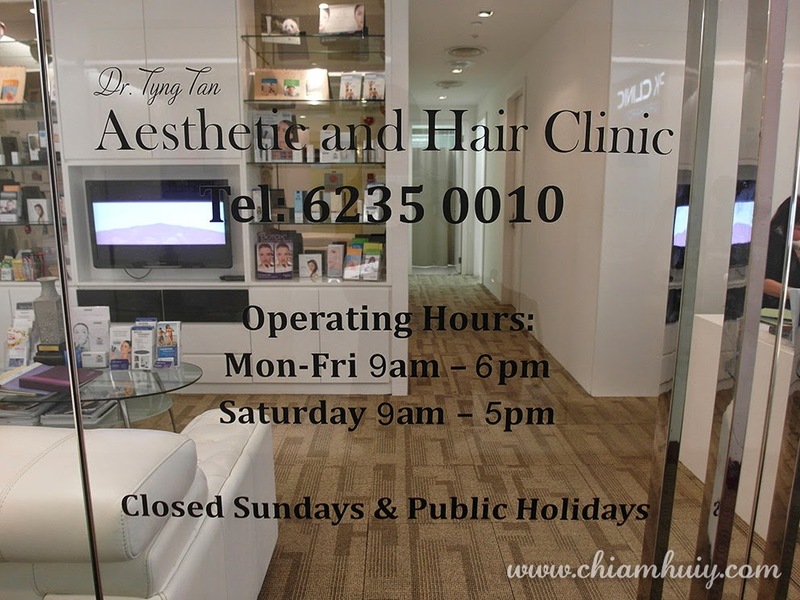 Dr Tan has over 10 years of academia and medical training, and along the way discovered her passion in treatment of hair loss. 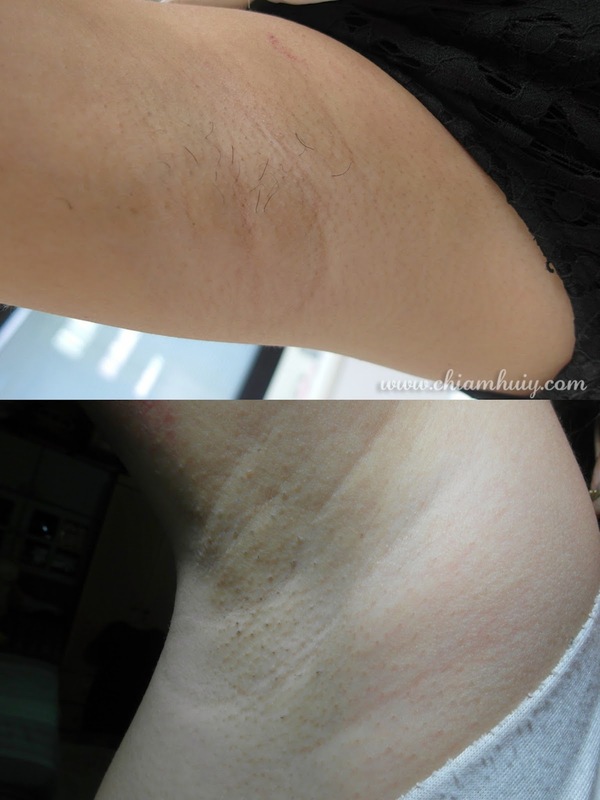 What are the areas I underwent laser hair removal treatment? Underarm (armpit), lower arm and lower legs. How long was the laser treatment? About an hour for all three areas, including the numbing process and the shaving process. Shaving process? Why is shaving required? The laser will not remove the long hair that I have on my skin. So prior shaving is required to shorten the length of the hair. IPL (intense pulsed light) can provide you painless treatments, but laser treatments are found to be more effective and safer in removing hair and stopping them from growing out. That being said, there's a little level of discomfort involved. PS: But I think it's worth it. How many sessions do I require to remove my hair? As advised by Dr Tan, 2-4 sessions are usually enough. This will differ according to different cases such as different hair thickness. Will my hair grow out again after one laser session? According to Dr Tan, there is a chance that hair will grow out again. But a few things for sure are that some follicles will not have hair growing out again, and even if there are, the hair thickness will be thinner than usual. 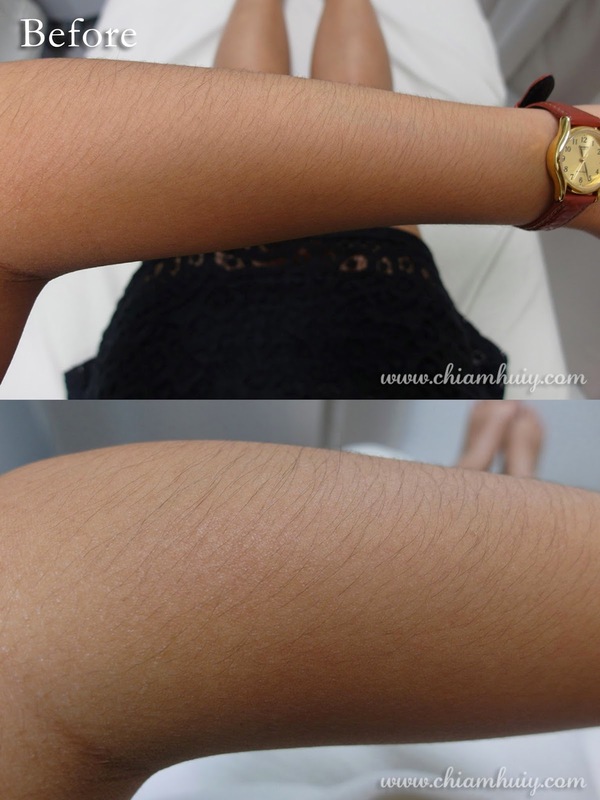 There is no way to fully eradicate the hair, but laser hair removal can reduce the amount of hair tremendously such that they become almost non-visible. The doctors term this as “permanent hair reduction”. 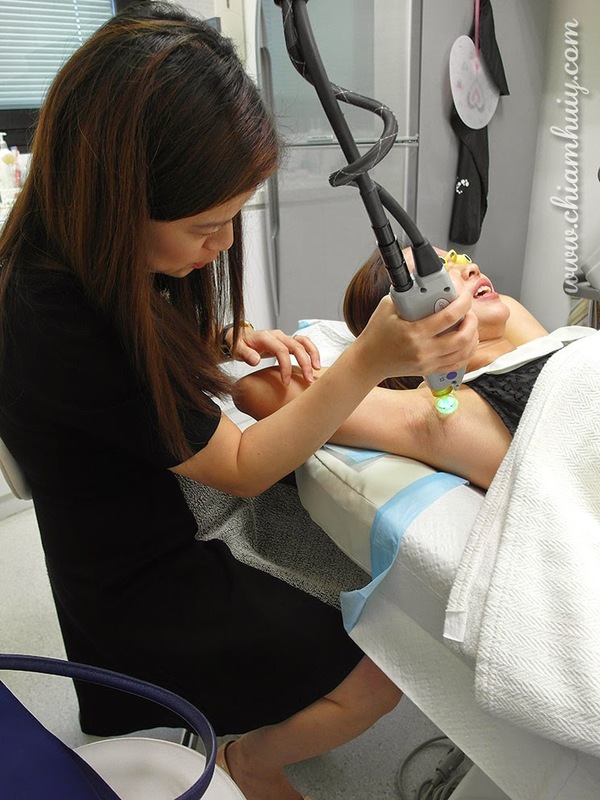 For the armpit area, due to the fact that it’s not exposed to sunlight as much as the other areas, it can hurt quite a bit, which is why numbing cream is applied before the laser session. For other areas, there are some level of discomfort which differs according to different tolerance levels. However, I would just like to add on that these pain are considered nothing to multiple waxing or plucking. And if a few laser sessions can provide you hairless limbs for a long period of time, why not? Simply put, I think the pain is really worth it! Personally, the pain only lasted during the treatment. For my limbs, it does not hurt immediately after the treatment. As for my armpit, there’s some discomfort and a little bit of itchiness for a few hours after the treatment. Everything was gone the next day and it feels like nothing. 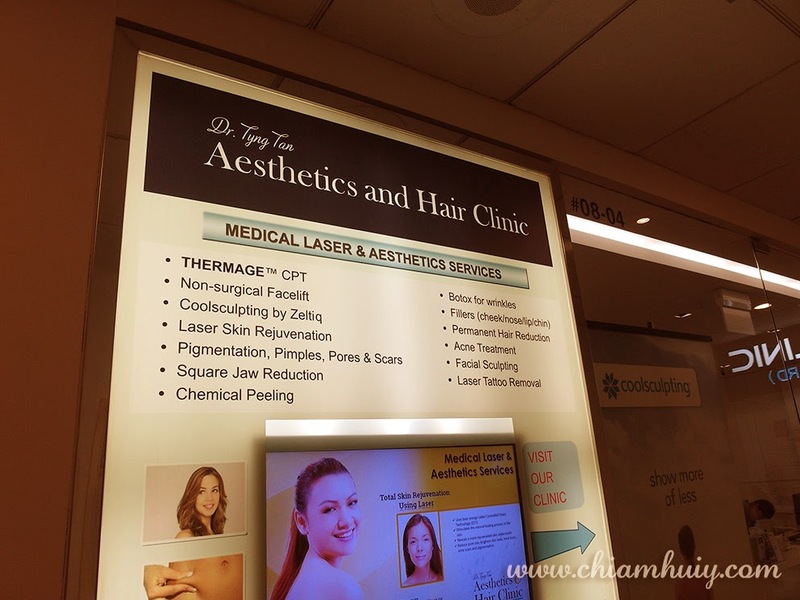 So let’s go through a little bit of what I went through for my laser hair treatment! No doubt I was a little nervous and awkward when the staff helped to trim my underarm and apply numbing cream there (hahahah). It’s my first experience that’s why! So if you think you’ll feel awkward or embarrassed, always remember everyone feels that same for the very first time and there’s honestly nothing to be afraid of. I remember I once asked my friend “omg Brazilian waxing is so embarrassing” and guess what my friend replied? “AIYA they see so many times already they also sick of seeing yours la!”. There you go, armpit is nothing. Like I’ve mentioned previously, shaving is required to remove the long hair strands on my skin. This prepares myself for the laser following up. For the underarm, numbing cream was applied and left for about 15 minutes before the laser starts. Here’s the original photo of my hairy limbs. And let the the zapping began! Dr Tan is a really nice and sweet doctor. 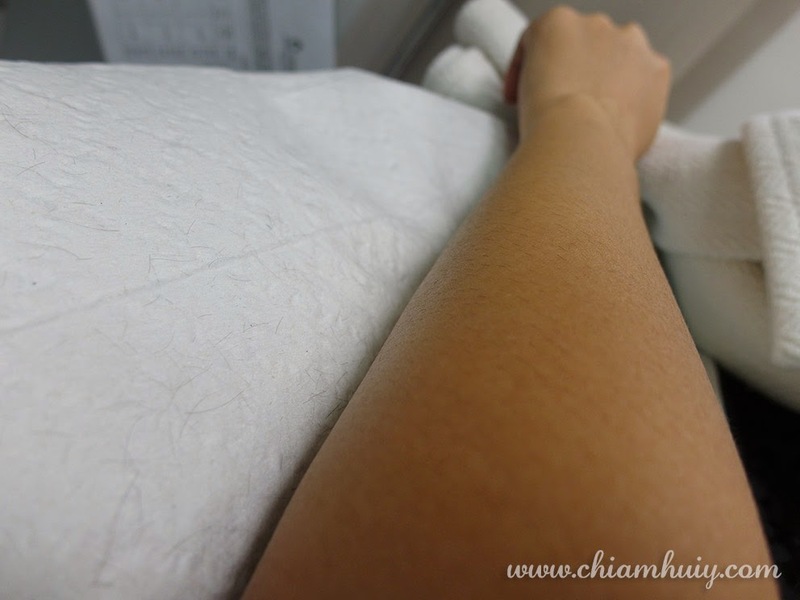 It's my first time doing laser hair removal so I got really tensed up at the beginning of the treatment. I guess she understands very well every patient's nervousness and tension, so she started chatting with me about a lot of things. We talk about my family, her kid and my nephew and this kind of chatting effort manages to make me forget the discomfort during the treatment. 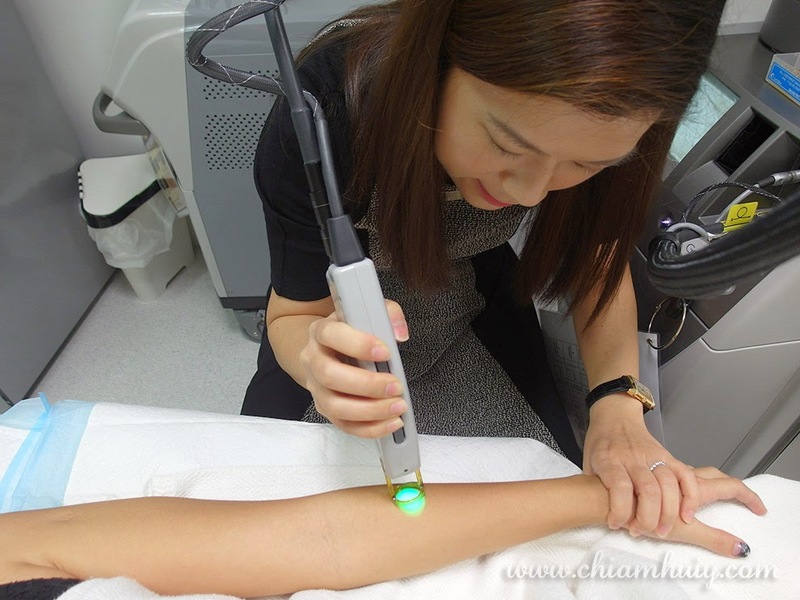 When I noticed a few protruding spots and bumps on my skin immediately after the treatment, the doctor explained that it’s normal because the hair follicles actually trapped the heat from the laser treatment. These spots will disappear after a few hours but for my case, they actually disappeared within half an hour after the treatment. There was no discomfort or any pain felt on my skin as well, except a little itchiness on my underarm. 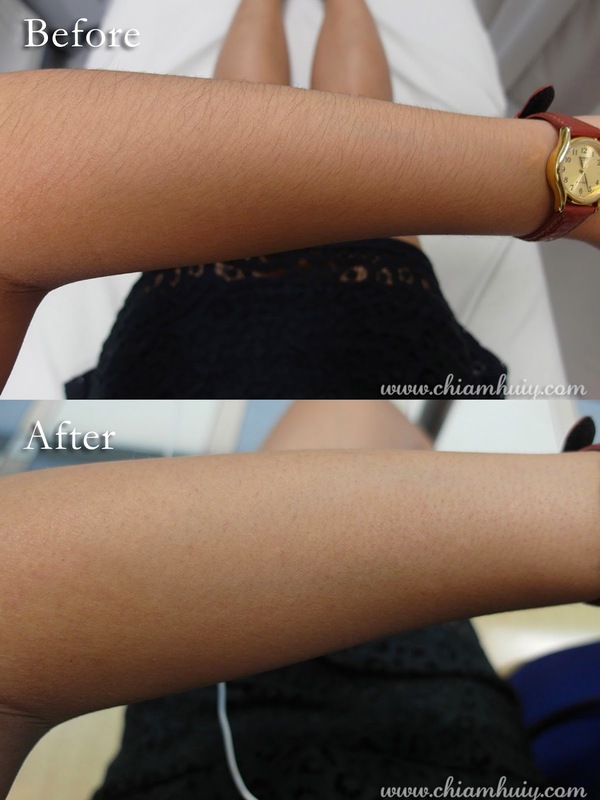 And the result right after the Laser Hair Removal session. Don't wanna scare you away so click to enlarge. So what happens few days later? Some hair on the arms and legs have grown out a little. As advised, it requires 2-3 sessions to minimise hair growth. Good thing is the hair did not grown out thicker than before. The result on the arms is better than that on the legs. I don't observe any hair strands growing out but could only feel it as I brush my fingers across my arms/legs. To my greatest surprise, my underarm hair has not grown at all. They remain as very short hair, no longer than 1mm (0.1cm) each strand. It has been two and a half weeks and usually by now the trimmed hair should have grown out, but they did not. Shows the laser did work for my underarm hair. If you are worried about the pain, then I must tell you it’s bearable and it shouldn’t be stopping you from achieving clean smooth limbs! The level of discomfort will also decrease as you try a few sessions, because we all know the first time is always the worst, and whatever that comes after should be easier. And apparently Dr Tan has quite a lot of credentials and accolades! After the session, I was given a tub of moisturising cream to apply for 5 days to keep the areas moisturised and minimise the laser effect, which can be really drying. 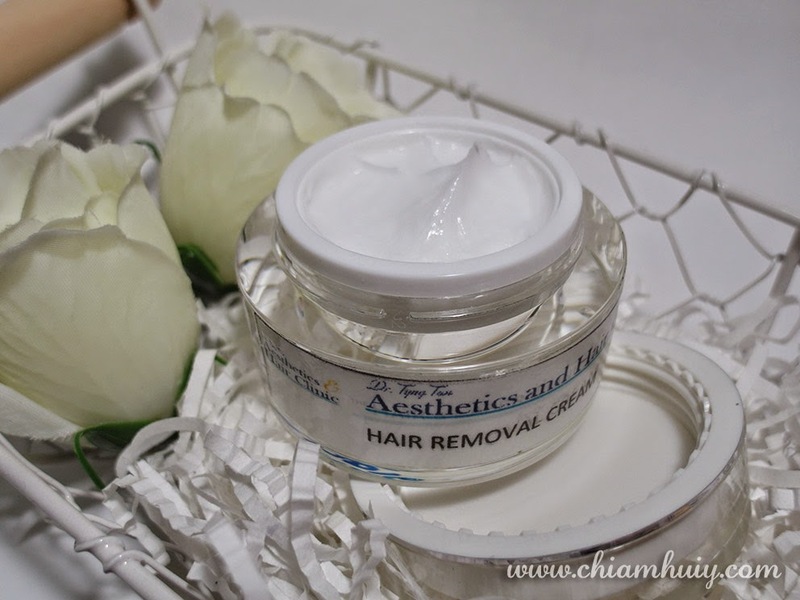 So to sum it all up, if body hair has been causing you a lot of problem especially your confidence about your overall look, it's time to seek the solution for it! Personally, I find body hair really unsightly and it can affect me and how I look at myself, especially when it comes to wearing heels. Ever since I went through the laser hair removal treatment, I can happily flaunt my legs with pretty heels without having to fear whether or not people will notice my hairy legs. I can also confidently do a handshake with people and friends without fearing them noticing my hairy arms too. Apologies for accidentally clicking the 'remove content' button! Your qn was how much was the procedure and did the Doctor do it herself. Hi, how is it going since your last treatment and what is the cost? Thanks for sharing your exprience . 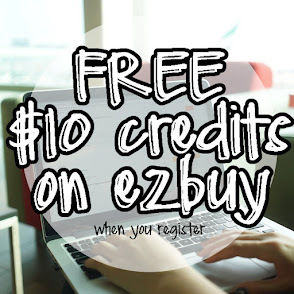 May i ask the rough total cost of your full sessions you had done ?? And you had the full body done , am i right ? Is it effective for you ? Even until now .